The Franchise Disclosure Document (“FDD”), formerly known as the Uniform Franchise Offering Circular (“UFOC”), is a legal document that franchisors must furnish to franchisees in accordance with the Franchise Rule (16 C.F.R. Part 436 which is regulated by the Federal Trade Commission). Franchisors must furnish prospective franchisees with a FDD at least 14 calendar days before the prospective franchisee signs a binding agreement with, or makes any payment to, the franchisor or an affiliate in connection with the proposed franchise sale. 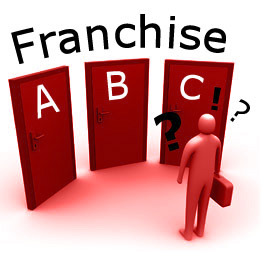 The FDD contains material information about a franchise operation and is designed to help franchisees analyze the merits of a franchisor. GENERAL RULE: Carefully review and negotiate the terms contained in the Franchise Disclosure Document prior to making any investment in a franchise. The Franchisor and Any Predecessors; Litigation History; Bankruptcy (i.e., any franchisees who may have filed); Listing of the Initial Franchise Fee and Other Initial Payments; Other Fees and Expenses; Statement of Franchisee’s Initial Investment; Obligations of Franchisee to Purchase or Lease from Designated Sources; Obligations of Franchisee to Purchase or Lease in Accordance with Specifications or from Authorized Suppliers; Financing Arrangements; Obligations of the Franchisor; Other Supervision, Assistance or Services; Exclusive/Designated Area of Territory; Trademarks, Service Marks, Trade Names, Logo types and Commercial Symbols; Patents and Copyrights; Obligations of the Franchisee to Participate in the Actual Operation of the Franchise Business; Restrictions on Goods and Services Offered by Franchisee; Renewal, Termination, Repurchase, Modification and Assignment of the Franchise Agreement and Related Information; Arrangements with Public Figures; Actual, Average, Projected or Forecasted Franchise Sales, Profits or Earnings; Information Regarding Franchises of the Franchisor; Financial Statements; and Acknowledgment of Receipt by Respective Franchisee. Please note that I strongly urge you to retain the services of an experienced franchise attorney because although the Franchise Disclosure Document is required by law, no governing body reviews the document for accuracy and/or omissions of fact.